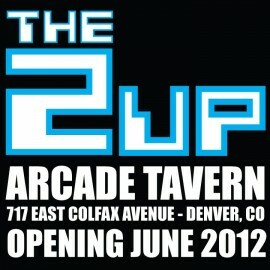 Just over a year after opening the 1UP, the hot arcade/bar in LoDo, owner Jourdan Adler has taken over the former home of Pete's Monkey Bar, which closed on Monday, and will be putting a second bar, the 2UP, in that spot. According to Adler, the 2UP will have arcade and Skee-ball collections similar to those at the 1UP, but a slightly smaller pinball collection. Adler has long been friends with Jay Bianchi, who owns Quixote’s True Blue and Sancho's Broken Arrow, just down the street from the Pete's spot at 717 East Colfax Avenue. 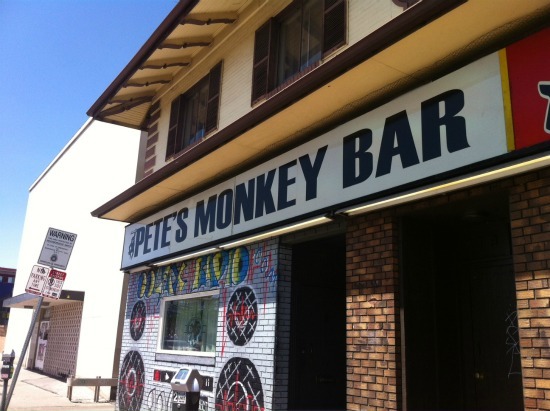 In fact, he ran Dulcinea's 100th Monkey from 2002 to 2009 in that space before it became Pete's Monkey Bar. And Adler has known Pete Penzastadler, who owned Pete's Monkey Bar, for thirteen years. "It was a thing that just worked for everybody," Adler says. "It wasn't like a hostile takeover. It was just one of those things that came up in conversation between Pete and I a couple of weeks ago, and it just made sense for everybody. We're excited. I know a lot of people will be excited. I know a lot of people are sad to see Pete's and the legacy of Dulcinea's go, but it's going to be great. I know the Bianchis are excited for it to be there and play off each other." Adler plans to keep the Steal Your Face bar that Bianchi put in when the spot was Dulcinea's, but will be cleaning up the place before it before it opens as the 2UP in early June. He also wants his new spot to emphasize the newer school jam-band side of things, while leaving the Grateful Dead to Sancho's. The 2UP will open every day at 3 p.m.; it will also be 21 and over -- unlike the 1UP, which allows kids during the day. "So that cuts out parents bringing their kids and that kind of thing," Adler notes. "It will definitely be a different dynamic. We want to cater to Capitol Hill and what's been there. I think it will be a great place for people to hit after the Fillmore, after the Ogden. It will be a great place before a show and after a show." The space as it sits today.